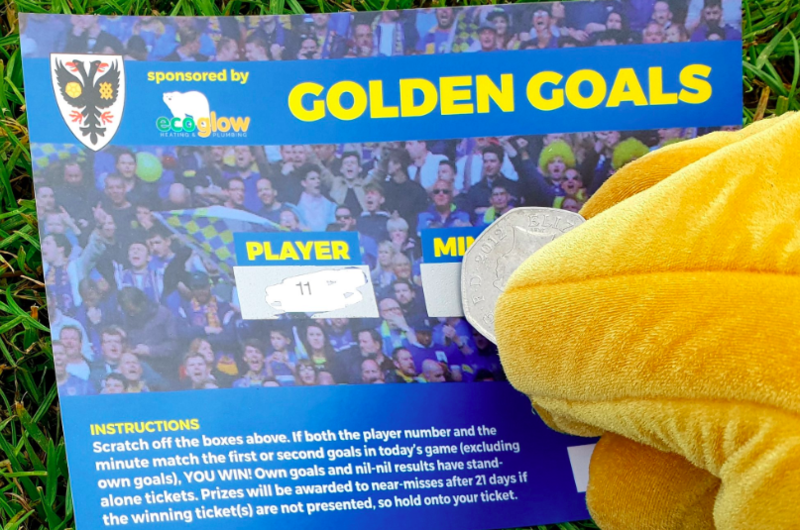 Now with a fresh look, and some new great prizes to be won, proceeds from the draw will help to realise our ambition of having the most productive football academy in South London, producing the stars of AFC Wimbledon’s future. 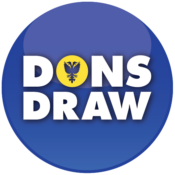 “The Dons Draw has provided vital funds for the club over most of our history,” explained Mark Davis, chair of the Dons Trust. Winners will be notified automatically if they have won a prize. We will also announce winners on the pitch at half-time, on the official club website, in the match day programme, and on the club Facebook and Twitter pages. 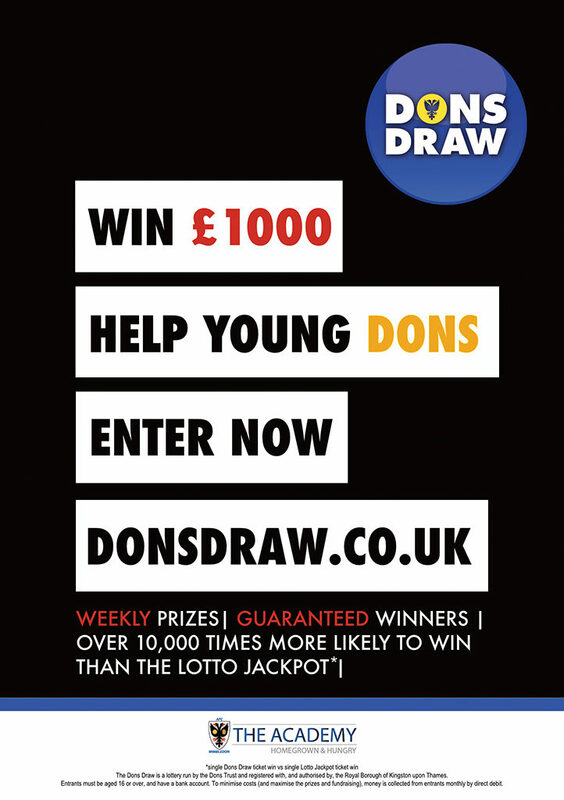 In what is an exciting time for the Academy, and with new weekly prizes to be won, we hope to get as many new sign-ups to the draw as possible. For those who are already signed up, the more entrants, the higher the prize fund will be, so please encourage friends and family to get involved. We thank you for your ongoing support, and hope you’ve had some great luck along the way! For more information, please visit www.donsdraw.co.uk. By signing up online here.